Royal Canadian Mint Black Friday Offers: Save $5 to $30 Off Coins + NEW Disney Season’s Greetings Coin + More! 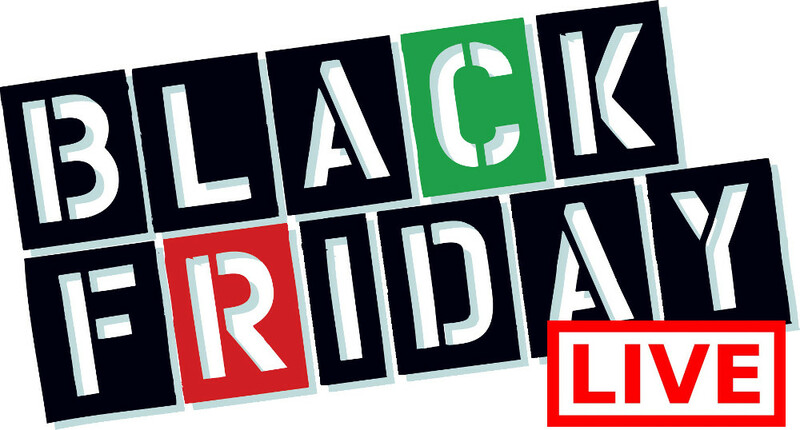 Royal Canadian Mint is jumping on the Black Friday bandwagon with a buy more save more sale! 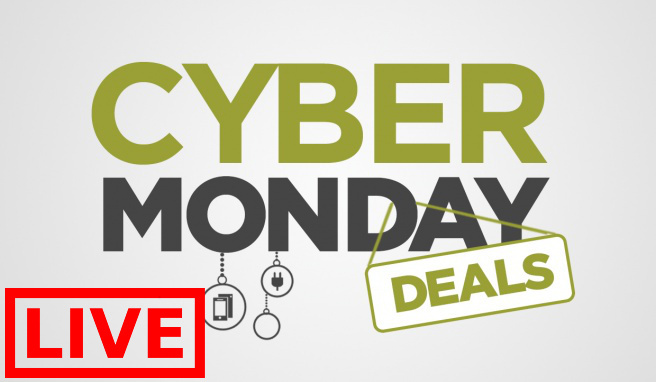 Today you will save $5 off $50, $15 off $100 or $30 off $150 or more! This Black Friday sale ends tonight, November 23 2018. Discount automatically applied at checkout. There are lots of beautiful new coins at Royal Canadian Mint. For example this NEW 1 oz. 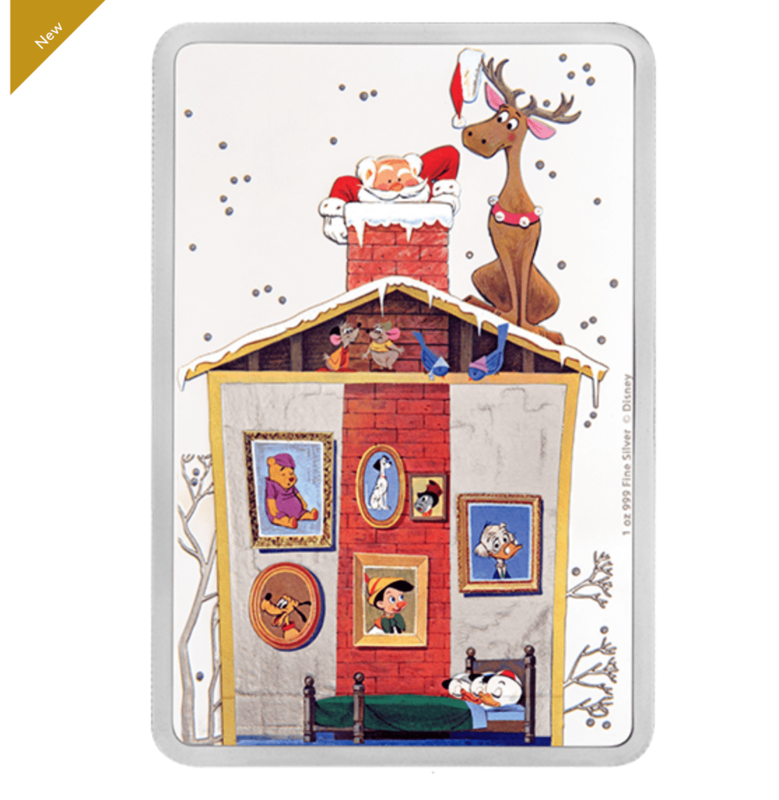 Pure Silver Coin – Disney Season’s Greetings Classic (2018). Available today for $15 off, only $104.95 with the Black Friday offer. This year’s Disney Season’s Greetings 1 oz. pure silver coin features a nostalgic colour illustration of lovable Disney characters from the 1969 Disney Corporate Season’s Greetings card. It shows Huey, Dewey, and Louie sound asleep with portraits of iconic Disney characters hanging on the wall as Santa climbs down the chimney. There is also this NEW 1 oz. Pure Silver Matryoshka Coin – Father Frost and Snow Maiden – Mintage: 5,000 (2019). Available today for $15 off, only $124.95 with the Black Friday offer. Your beautiful 1 oz. 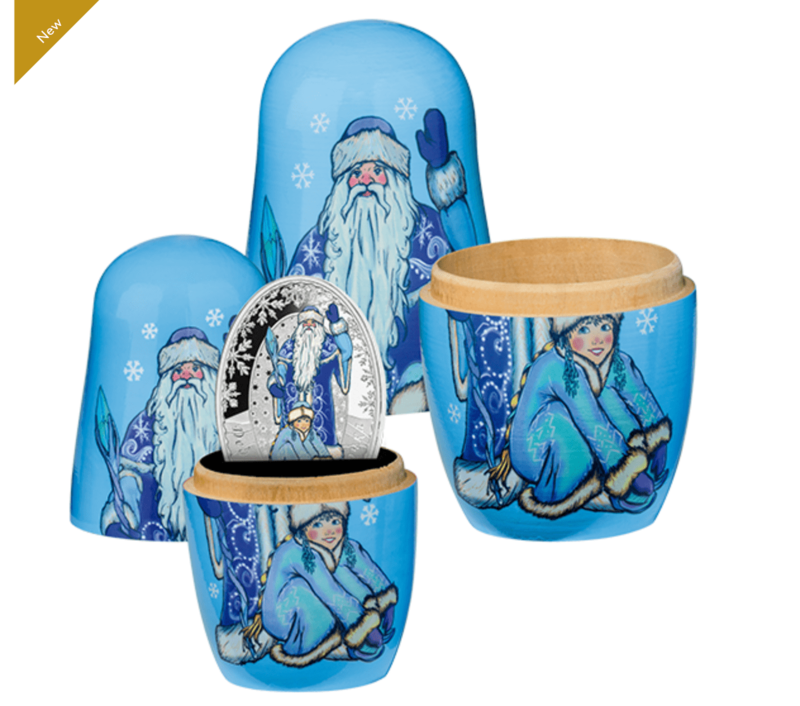 pure silver coin is dedicated to the Russian version of Santa Claus and his granddaughter, Snow Maiden. Your coin features the special egg-shaped curve of a real Russian Matryoshka Doll, has a beautiful coloration, and comes in a two-sized Matryoshka case, along with the Certificate of Authenticity. Royal Canadian Mint is joining the Black Friday party with a sweet deal: save $10 off $50 or $15 off $100 or $25 off $150. This deal ends tonight, November 24 2017. Royal Canadian Mint offers free shipping on orders of $100+ but some coins come with free shipping.